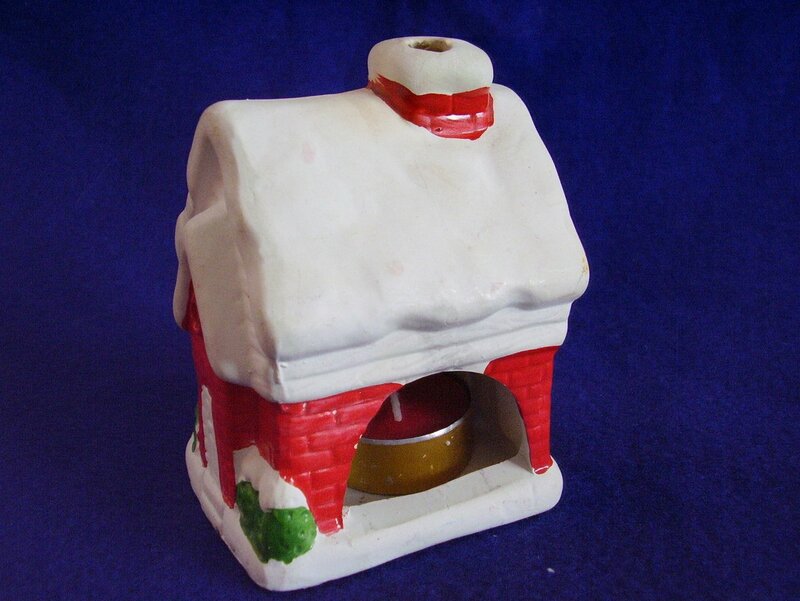 A Christmas small House votive candle holder. Comes with the original box which shows some wear. We have included a small scented votive candle for you. 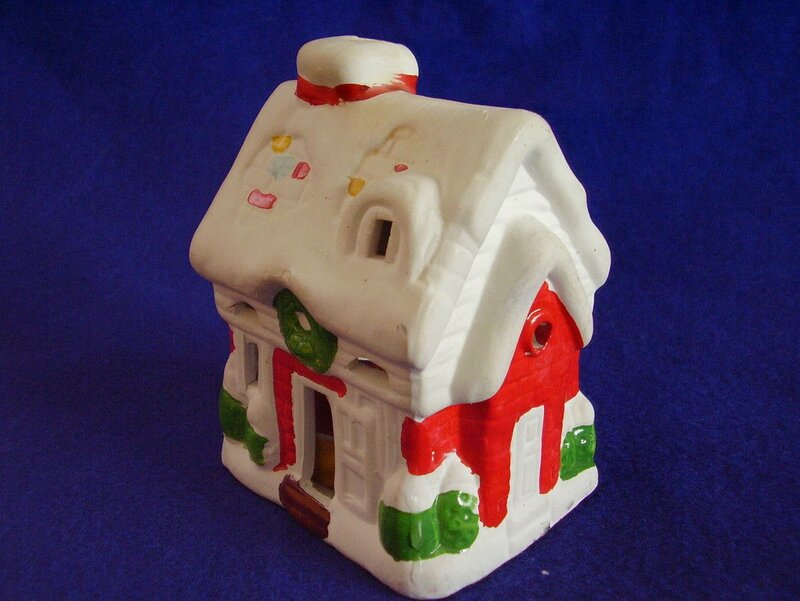 A Christmas small House votive candle holder. Comes with the original box which shows some wear. 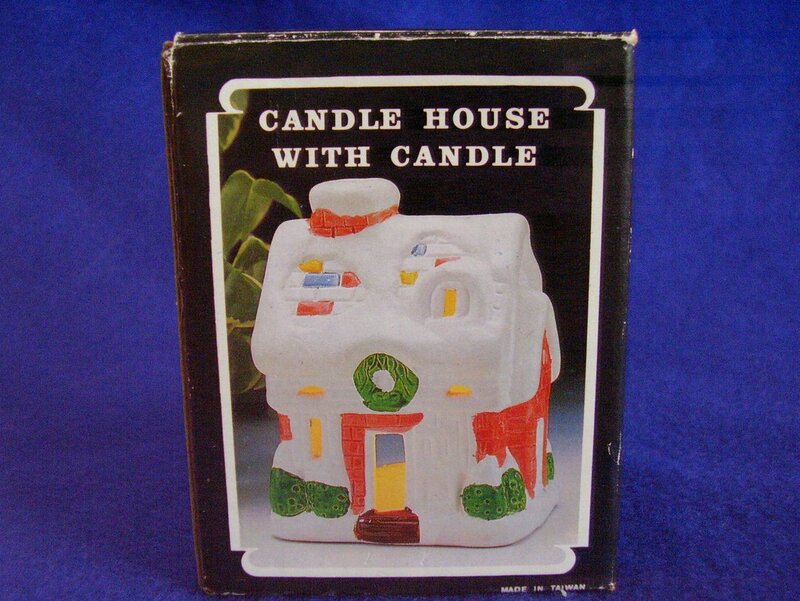 We have included a small scented votive candle for you. The chimney and small windows are vented as well to show the light and the aroma. 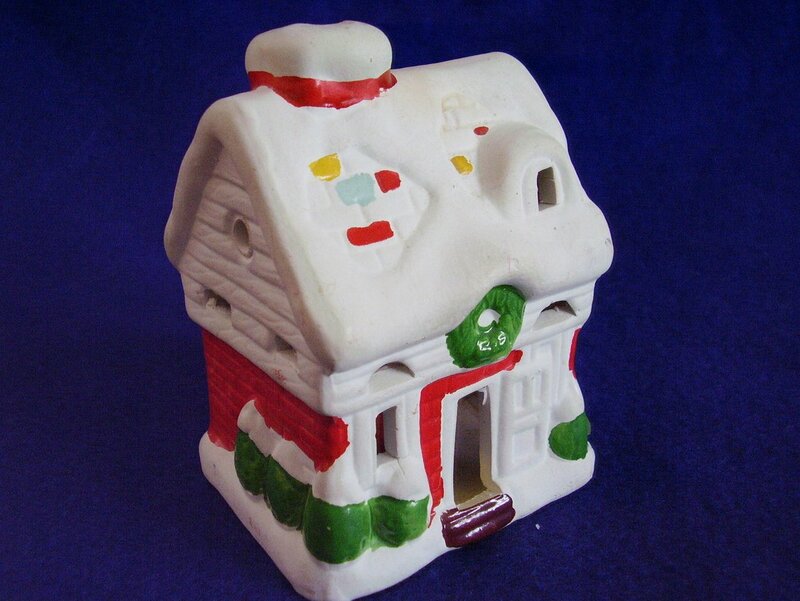 The candle holder house measures 4 inches tall x 3 1/4 inches wide and is 2 1/2 inches deep. Great stocking stuffer!